On a tour of eastern Canada to perform ‘Eesti: Myths and Machines’, this autumn, dancers and choreographers Thea Patterson & Peter Trosztmer, and artist Jeremy Gordaneer will be in Parrsboro for a Main & Station Nonesuch Arts Residency which will culminate in a public performance. The residency group will also include dramaturge Lois Brown, lighting designer Rasmus Sylvest, and sound designer Jean-Sébastien Durocher. The group have performances of Eesti scheduled in Halifax from September 25th through 27th at liveart Dance Productions as well as an intimate sound performance at Parentheses on the 28th. On October 8th they will perform at Neighbourhood Dance Works in St John’s. EESTI:”Myths and Machines”-Trailer from Peter Trosztmer on Vimeo. Peter Trosztmer has choreographed and performed work that has been seen around the world as far away as China, Taipei, Korea, Columbia, Mexico, Jordan, Kuwait, Cuba, England, Scotland, France, Austria, Germany, Croatia, as well as throughout Canada. After receiving his B.A. in Classics, Peter studied at the Concordia University Department of Contemporary Dance before moving to Toronto to complete the School of the Toronto Dance Theatre training program. Since then, he has distinguished himself as in interpreter of the highest caliber and has worked and continues to collaborate with many national and international choreographers. His choreographic collaborations have been selected as top five shows of the year (La Presse 2006 and Voir 2012 Montreal) as well he was recognized for the best performance - (The Hour 2006). 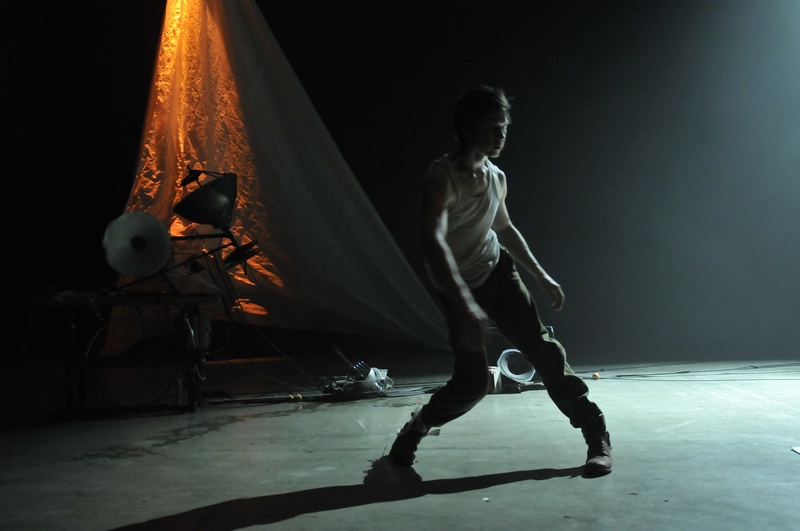 His work with Thea Patterson on the multi media work Norman received many accolades including an Angel Award at the Brighton Festival UK (2009) and had one of the most successful performance runs at Place des Arts’ 5ième Salle with a third run in April 2014. Peter continues to define his place as a creator who is invested in work that is sensitive, deeply researched and physically realized. His co-authored article with Thea Patterson “Collaboration as Practice: The Long and Winding Road” was presented at the Canadian Society for Dance Scholars Conference 2012. 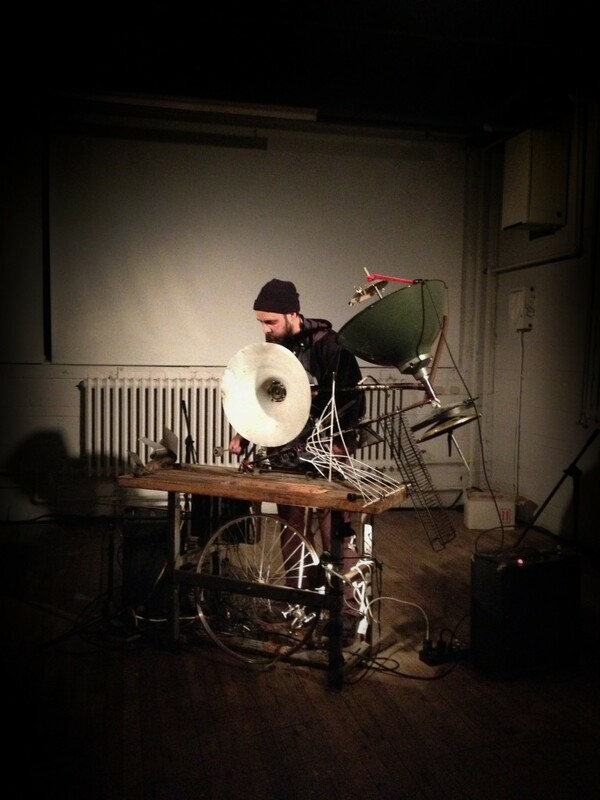 His latest work includes Eesti: “Myths and Machines” and Five out of Six: Machines, a collaborative work created with Thea Patterson and Jeremy Gordaneer. Peter, Jeremy and Thea are, at present, artists in residence at Techno Lith – New City Gas in Griffintown, Montreal. Montreal based Thea Patterson, works on a variety of projects as a choreographer, rehearsal director, dramaturge and collaborator with a group of colleagues that include Katie Ward, Audrée Juteau, David Pressault, Dean Makarenko, Bill Coleman, Wants and Needs Dance, Sasha Kleinplatz, Jeremy Gordaneer and Lois Brown. Thea is a member of the artist group “The Choreographers” who make work based on collaborative models of creation and support, and is a long time collaborator with Peter Trosztmer, for whom she has provided dramaturgical assistance on five critically acclaimed solos. Prior to this Thea created ‘Rhyming Couplets’ (08) and ‘A Soft Place to Fall’ (06)’ which was made into a BravoFACT film directed by Philip Szporer and Marlene Millar, and continues to screen at international film festivals. With Peter, she was also co-choreographer for ‘Norman’ which had extensive international exposure. She is currently practicing a new solo work entitled “the dance that I cannot do” which was presented at Movement Research at the Judson Church in New York and as part of the Third Floor Series in Montreal. Thea will also begin her Masters in Choreography at the Amsterdam Theatreschool for the Arts (AHK) in Sept 2014. Jeremy Gordaneer ’s work is deeply influenced by his participation in the Chapman Group, a collective of artists located in Victoria during the 1990’s. Originally a dialogue between senior painter James Gordaneer RCA (Jeremy’s father) and philosopher/theologian Raymond Llorens (1933-1999), the group grew into a circle of young artists working to develop a new artistic idiom. He continues to draw from the ideas developed in the Chapman Group by merging the mediums of sculpture and painting to blur the traditional dichotomies inherent to visual art. Gordaneer divides his time between the visual arts and theatre where he has worked as a scenic painter, set designer and properties builder since 1999. Jeremy trained in Victoria, BC, attending Camosun College’s visual art program (1992), as well as obtaining a BFA from Uvic in scenic design for theatre (1999). He is now based in Montreal where he finds continual inspiration in the rich urban environment and cultural life. Presently working on Nufonia must fall for Kid Koala building puppets and sets. Born in Newfoundland, Lois Brown was educated in drama at The University of Alberta. She established her cross-disciplinary artistic practice in her home province where has been past Artistic Animateur of RCA Theatre Company, and past Curator of Neighbourhood Dance Works. Lois is an award-winning filmmaker and her performance art work has toured to New York and San Francisco. In 2004, she was one of five Canadian directors short-listed for the Elinore & Lou Siminovitch Prize.The following year, the Canada Council for the Arts awarded her The Victor Martyn Lynch-Staunton Award for outstanding achievement in theatre by a mid-career Canadian artist. She has been recognized for her contribution to the arts in Newfoundland and Labrador with an Artist Achievement Award. Lois holds a Masters from Memorial University, where she often teaches acting or directing. In 2006 she established her own company – newfoudlandartistx (nax) – for experimentation in live art. She is currently artist-in-residence at Playwrights Workshop Montreal and lives in Montreal with her daughter Olivia. Originally from Denmark, Rasmus Sylvest has worked for dance and theatre companies in Europe and Canada as a lighting designer, technical director, stagemanager and touring director. In 2007 Rasmus settled in Montreal and has worked with Systeme D/Dominique Porte, Martin Belanger, Peter Chu, Marie Brassard, Thea Patterson, Kelly Keenan, George Stamos, Anna-Marie Pascoli, Marie Claire Forté, Dana Michel, Caroline Laurin- Beaucage, Andrew Tay, Sasha Kleinplatz, Andrew Turner, Jacques-Poulin-Denis and Danny Desjardins. Qui est Jean-Sébastien Durocher ? on ne sait rien et nous ne savons rien sur Jean-Sébastien, sinon qu’il existe. Ceci étant, il fait du bruit autant qu’il le peut avec plus ou moins de grâce, selon ces humeurs. Jean-Sébastien est né au Canada. Jean-Sébastien Durocher est un compositeur et concepteur sonore actif dans le milieu du théâtre de la danse et du cinéma. Il aime le vent comme la pluie. Il a travaillé à la composition d’une pièce pour piano, voix et bande intitulée La voix du silence, qui était créé à l’automne 2012. This entry was posted in Art, Events, Performance, Residencies and tagged Dance, Danse, Eesti: Myths and Machines, Jean-Sébastien Durocher, Jeremy Gordaneer, Lois Brown, Nonesuch Residency, Peter Trosztmer, Rasmus Sylvest, Sculpture, Thea Patterson by Admin. Bookmark the permalink.